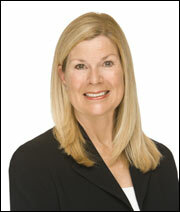 Linda Tull is passionate about both the real estate industry and her quality-over-quantity approach. Linda prides herself on the personal attention she offers, limiting her clients so she can provide a truly customized experience and maintain the high standards she has set for herself. Marin homes for sale are in high demand and it’s no mystery why. From sweeping San Francisco Bay vistas and towering redwood trees to Mount Tamalpais peeking above the summer fog, Marin County is an area of superlative natural beauty. Marin homes for sale are in high demand and it’s no mystery why. From sweeping San Francisco Bay vistas and towering redwood trees to Mount Tamalpais peeking above the summer fog, Marin County is an area of superlative natural beauty. With a few more than 250,000 people living in 519 square miles, Marin County offers its residents plenty of room to roam. Every town and neighborhood in Marin is unique, with its own climate, schools, demographics, commute and lifestyle or vibe. Here are my best descriptions of my favorite towns in Marin, although you really have to see them to appreciate their special characteristics and beauty! Success in your home buying/selling endeavor! !